Conserve Power Switch™ is rated 4.0 out of 5 by 1. Many of the electronics and appliances around your home use electricity even when they’re not in use—wasting energy and driving up your electric bill. The Conserve Power Switch completely shuts off power—including standby power—to your electronics and appliances with the flip of a switch, to help you save energy. 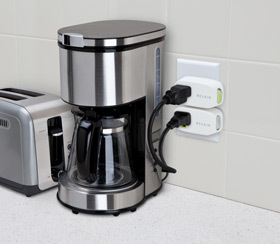 Designed for standard US three-prong power outlets, the Conserve Power Switch’s slim design does not obstruct an unused outlet when plugged in. Two Conserve Power Switches easily fit next to each other in one standard outlet and can work simultaneously. In a typical American household, there are up to 40 devices drawing constant power at a given time—even when they’re not in use. 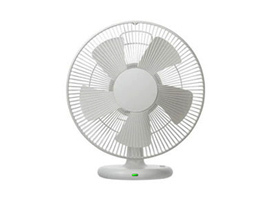 This can average up to $100 per year in unnecessary energy costs. * Use the Conserve Power Switch on electric devices like stereos, chargers, and microwaves, and you can be sure you’re not wasting energy on devices you aren’t using. Rated 4 out of 5 by Lo87 from Good Product I only have one of these for my toaster, and it works well. It's quite easy to use just plug the power switch in and turn it on and off when you need to use whatever electronic you have plugged into the switch. I personally have my toaster plugged in. I'm not sure how much that helps my bill but I use this along with other conserve products and my energy bill has been much lower than normal. I've had this product over a year now.